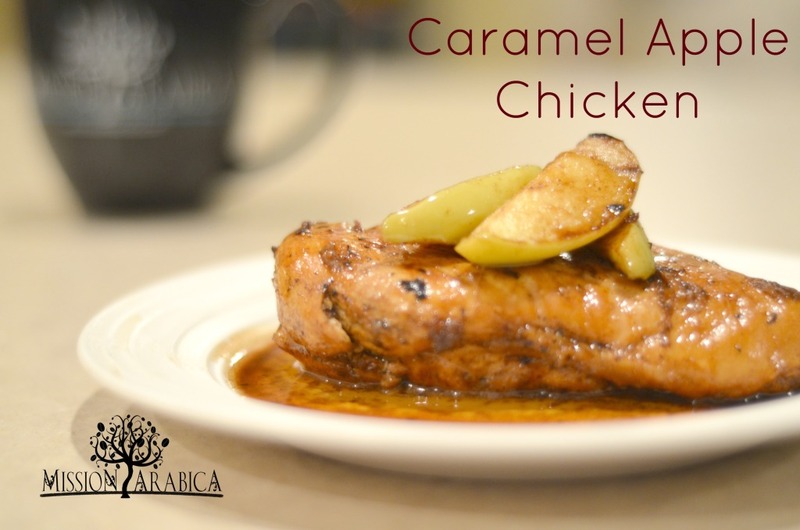 I call this recipe Caramel Apple Chicken because, to me and my husband, it had a strong caramel taste that paired well with the apples and chicken. It was a big hit and we hope you’ll love it too. We enjoyed the tribute to fall and the subtle coffee taste that enhanced all the other flavors. When Chris first asked me to help head up the Recipes page, I didn’t even know people used coffee for recipes besides drinks and maybe the occasional dessert. So I figured I should study up on how to cook with coffee and found that many people love to use coffee as a flavor enhancer for meats and vegetables, as well as desserts and drinks. I decided to buy a couple books on Amazon to help me learn more about the variety of ways to cook with coffee and found this cookbook, Cooking With Coffee , by Carol Foster. Along with a ton of recipes, it has some great tips on cooking in general, as well as information about coffee including roast profiles and brewing methods. If you want to expand your culinary knowledge, I definitely recommend this book. So because of apples being in season right now, I thought I would try out this particular recipe from Cooking With Coffee and give you all a review on how it tastes. She actually titled it Glazed Chicken with Sauteed Apples, but it was easier to remember it by how it tasted. 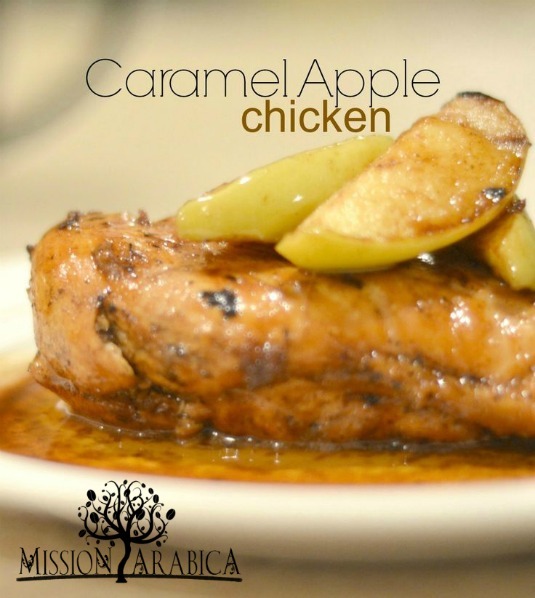 So we’ve affectionately renamed it Caramel Apple Chicken here at the Cheney house. If you have a meat mallet, I highly recommend tenderizing the meat by placing a piece of plastic wrap over top of the meat and pounding it till each piece is about the same size thickness all throughout each piece. 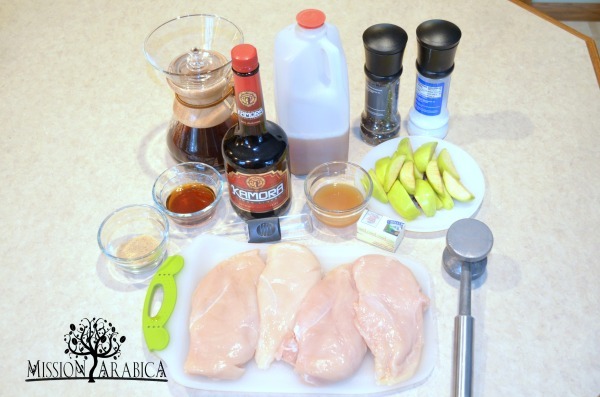 This will make your meat much more tender and juicy because it will be able to cook more evenly. Sprinkle 1 teaspoon of brown sugar over each breast half and turn again. Cook the meat for about 1 more minute until the sugar melts. 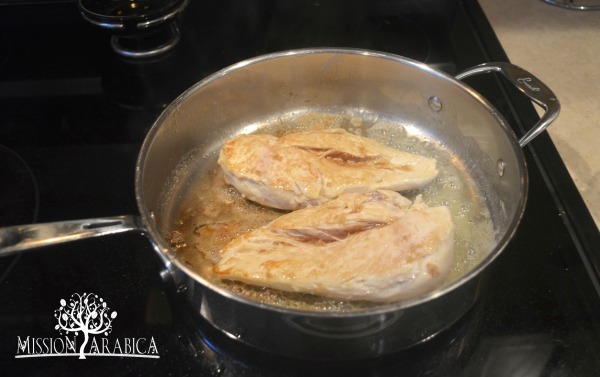 Place chicken on a warm plate and cover with foil to keep it warm. 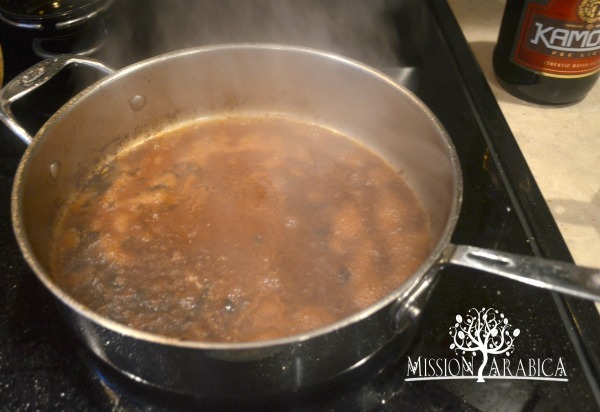 Reduce the liquids until slightly thickened which should take about 3 minutes. 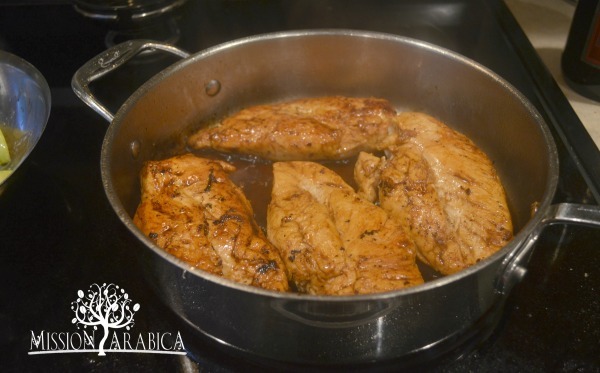 Place the chicken breasts back in the original pan, partially covered, and simmer until the chicken is finished cooking, turning the chicken at least one time to coat with the glaze. Add salt and pepper to taste. 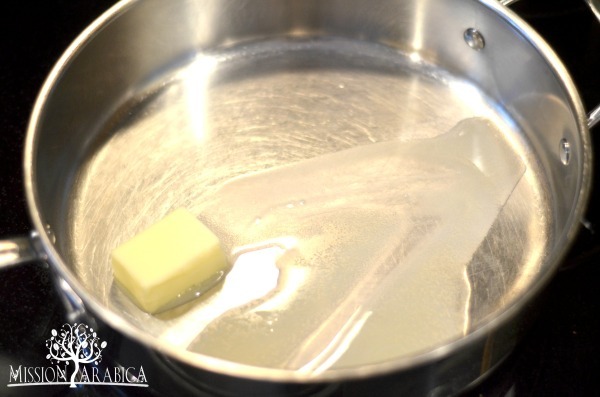 In a separate pan, melt the remaining Tablespoon of butter over medium-high heat. 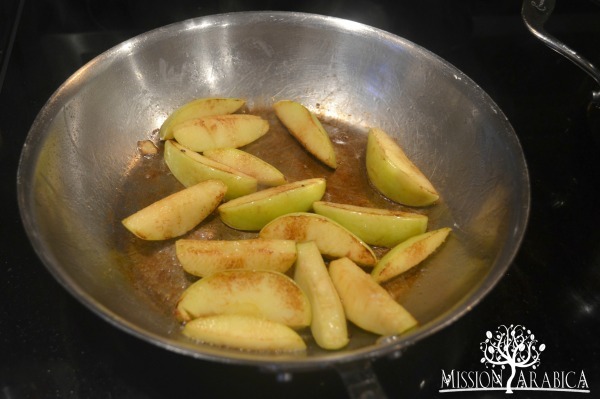 Saute’ the apple wedges in the butter until golden on both sides. 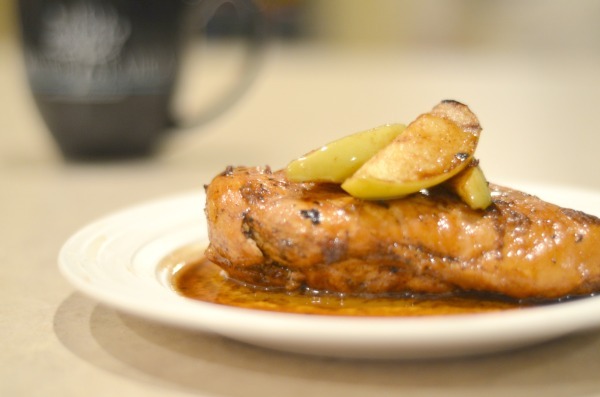 Serve chicken on a warm plate with apples on top, drizzled with the coffee glaze. We ate ours with rice, but thought we’d try some garlic red potatoes or maybe some butternut squash next time. If you make this, let us know how you liked it as well as what sides you paired with it. Bon appetite! We made this on Monday night…changed it just a bit. At the end we pulled the chicken out of the pan, added a little more brown sugar and reduced the sauce till it got a little more thick. Then we used the leftover sauce as a gravy for mashed potatoes and a pour over on the chicken! Delicious!